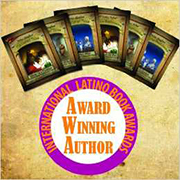 A bilingual collection of the award winning series Feathered Tales. The collection contains both English and Spanish versions of the books ‘Birds of a Feather’, ‘Two Hoots and a Holler’, and ‘Pelican Sky’. The easiest way it of course location apps because he the simply and clear to all. Won’t raise excess problems and questions. And you don’t want to learn information not necessary to you.